A similar and more recent story comes from the world of industry and features the growing problem of harmonic currents and utility level voltage distortion, as a result an increasing number of non-linear loads in industrial and commercial environments. Here, John Mitchell, global business development manager of supply, repair and field service specialist, CP Automation, shares his top tips for companies that want to commission or replace harmonic filters. Why are harmonics a problem? Non-linear loads include common office equipment like computers, printers and battery chargers, as well as industrial equipment like fluorescent lighting, variable speed drives (VSDs) and transformers. A load is considered non-linear if its impedance changes with the applied voltage. This change means the current drawn by the non-linear load will not be sinusoidal even when it is connected to a sinusoidal voltage. Non-sinusoidal loads contain harmonic currents that interact with the impedance of the power distribution system to create voltage distortion and power quality problems. Voltage distortion can cause significant damage to plant or building equipment, as well as the mains power supply. Common symptoms of high harmonics levels include motor vibration, voltage notching, electromagnetic interference and overheating, all of which are harmful for equipment and result in heat loss and increased maintenance and energy costs. Harmonic filters do what they say on the tin: they remove harmonics and correct the phase of the fundamental currents, converting non-linear loads into linear ones. So far, so good; however, when it comes to commissioning the right harmonic filter for your specific application, things can get tricky. In environments where space is an issue, such as commercial buildings in urban spaces, data centres, the mining industry or a plant floor, it is important to consider the best fit for the purpose in choosing a solution. Modularity can play a key role in your decision, as it refers to the degree to which a system’s components can be separated and recombined. Apart from space savings, modularity also means cost savings because it makes installation and maintenance more straightforward, reducing the need for many connectors and cables. With active harmonic filters, if one of the modules has a fault, a technician can shut down and repair or replace it, while the rest of the filter continues to run in reduction mode. This way, harmonic levels are kept under control even during maintenance. One final benefit of modular harmonic filters is that their capacity can be increased or decreased depending on how the plant’s systems change, which can save significant costs in the long run. Another memorable thing about 1976 was the particularly hot summer that year. Harmonic currents can induce additional heating in generators, which can have a negative effect on the entire system. In the long run, harmonics can also lead to heating of busbars, cables and equipment, cause thermal damage to induction motors and generators and thermal tripping of safety devices, like fuses or sensors in breakers. In this already sizzling environment, any additional source of heat needs to be thought through. 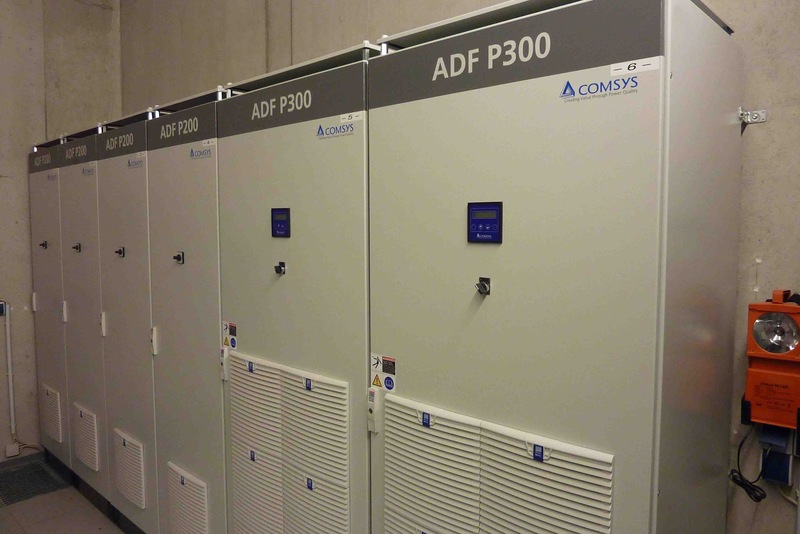 Luckily, some active filters, like the Comsys ADF series, produce up to a third less heat than others due to their switching techniques of the insulated-gate bipolar transistors (IGBTs). Equally, the REVCON RHF Series of passive filters offer up to 99.5% efficiency. When comparing a filter, be it active or passive, you should look closely at the total cost of ownership for the end user. After all heat loss is a direct cost in energy bills. This is particularly important on the shop floor, in marine and offshore applications or any other environments where space and heat is particularly precious. To make users’ lives easier, active harmonic filters come with intuitive software and remote data access. This means authorised users can access real time information and see live harmonics data by using a PC, laptop, tablet or smartphone with internet access. Most modern harmonic filters have web based tools that require no special software installation or licences. Remote data access means more flexibility and greater peace of mind for engineers and facilities managers, who no longer have to be on site to resolve an issue. If process variables go beyond set parameters and alarms go off, the device immediately notifies the person or team responsible and they can access live information. This should help them make informed decisions, regardless of where they are in the world. Euroserv, the sister company of supply and repair specialist CP Automation, has expanded its North East office to a 6,200 square feet facility on the Armstrong Industrial Estate in Washington, near Newcastle upon Tyne. 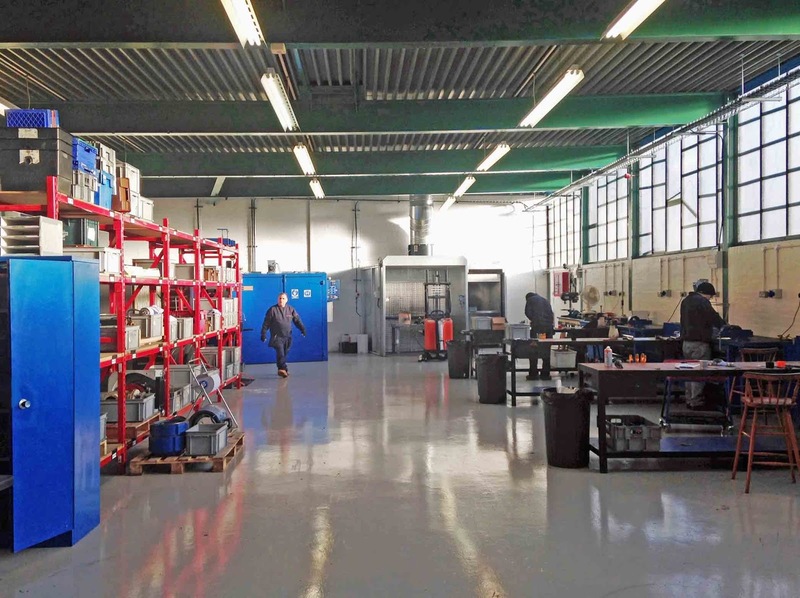 The new premises will allow Euroserv to stock, test and repair a larger number and variety of industrial automation equipment. Euroserv specialises in the repair and new sales of robotic, CNC, servo, electric, spindle and axis motors, braking resistors, pumps, drives, encoders, harmonic filters and more. The company works with clients of all sizes in the North East area, from one-man bands to international leaders, such as Nissan and Rolls-Royce. Euroserv’s workshop is fully equipped with test and repair facilities for all types of industrial electrical equipment. The company also has the ability to re-magnetise magnets, returning them to full strength, which helps manufacturers reduce maintenance costs.